As we near the end of club season, some might be wondering how they are going to wait until September for a whole new set of releases. Don’t worry, Fidelitas will always have you covered (except for that one time we ran out of wine). To pair perfectly with your summer BBQ’s, family reunions, and parties galore we have two wines that you'll need to add to your collection. But before we add those two new additions to the tasting lineup, there are a couple of wines you might want to snag now before they sell out. All four of these wines together create the perfect bundle. Does someone want a 100% Semillon, or something with a little more acidity like the Sauvignon Blanc/Semillon blend? Do you have a big Malbec lover at the party, or someone who likes a blend but still enjoys what Malbec has to offer? Be sure to get on our mailing list if you’re not already so you can stay up to date on our newest releases. The Feast of St Fidelis is our longest running annual event dating back to when we first opened our tasting room on Red Mountain in May 2007. While this is only my 6th time attending, I must say the Feast is my favorite way to ring in warm Spring days on the patio while celebrating our wonderful members and the anniversary of making our home on Red Mountain. It. Is. Finally. Spring. After the long winter we had, do you need any other reason to party? 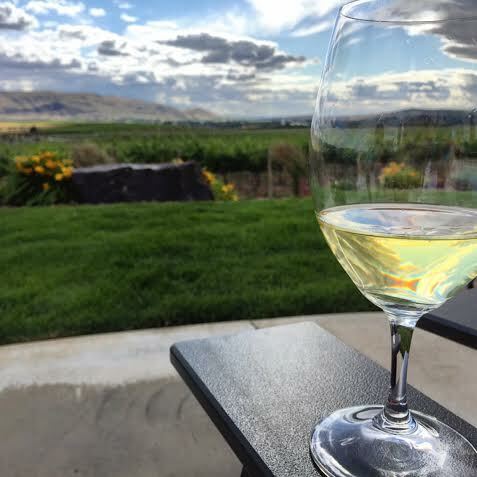 Pull up a seat in one of the Adirondack chairs overlooking the Fidelitas Estate Vineyard, which will be full on blooming by that point, and enjoy a warm spring evening of fresh air and solitude on Red Mountain. Watch the sunset over Rattlesnake Mountain by the firepit or cozied up with a blanket, we’ve got you covered. Brand new wines and a stroll through the Estate. Get a VIP ticket to come early and join Charlie for a tour of the vineyard and enjoy our newest wines from the 2016 vintage. Our favorite taco wine, Red Mountain Malbec, will be flowin’! We got a band!! I am sooooo excited to announce that this year we are kicking up with fun times with one of our favorite local bands The Knutzen Brothers. You can catch them at all the good spots around town and we can’t wait to turn up the volume on the patio! Good times for all. In years past we’ve kept this event mostly exclusive to Club members in an effort to give members a private party to say thank you for the support. However, we realized that our members have friends that like wine too and bringing people together to share good times over a great glass of wine at our favorite place on earth is possibly the best thing ever. Members can now bring up to 4 guests with them. Not a member yet? There’s still time to join so that you can come too! Members can purchase tickets here. See you in the taco line!